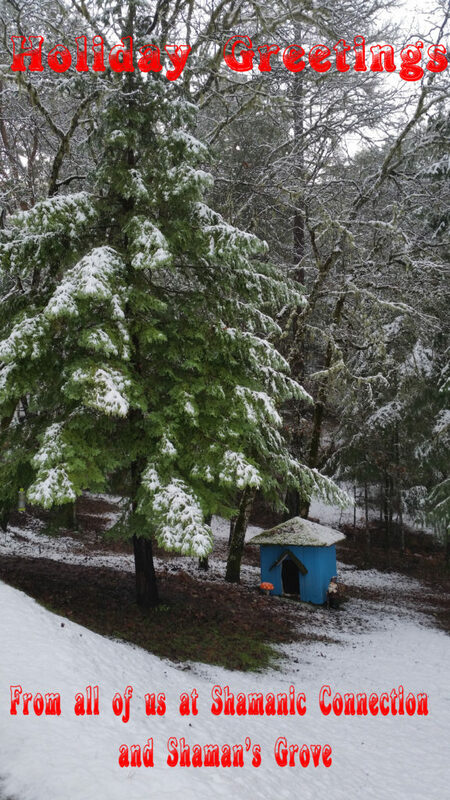 Mother Nature chose to blanket us with snow today and we want to share the peace and calm she brought to “The Grove”. We wish you a peace filled holiday and a happy and abundant 2016. Gary, Debbie, Annie (the cat), Oscar (the gnome), and all the Spirits and Elementals that reside here at the grove. This entry was posted in holidays, winter solstice, yule on December 24, 2015 by Debbie.